Counter-Strike: Global Offensive (CS:GO) is a multiplayer first-person shooter video game. It is the fourth game in the Counter-Strike series. Counter-Strike: Global Offensive expands upon the team-based action gameplay that it pioneered when it was launched 12 years ago. The game pits two teams against each other: the Terrorists and the Counter-Terrorists. Counter-Strike: Global Offensive features new maps, characters, and weapons and delivers updated versions of the classic CS content. Furthermore, it introduces among other things new gameplay modes, matchmaking and leader boards. 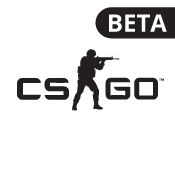 Note: Once the server is created, please access the server via SSH, with the user csgo and the password we assigned to the server during its creation, and execute the CS:GO server following the instructions you will find in the /home/csgo folder.